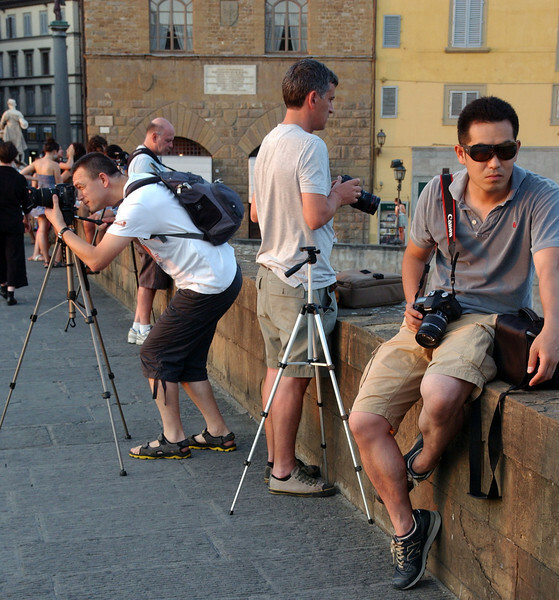 Photography workshops and Photo Tours in Italy, Israel, Portland and Washington D.C. Covering photojournalism, war photography, street, landscape and culture. Susan Offers several type of photography workshops: group/tours and The Crossing Borders Project. We are booking Photography Workshops for 2017-2018! We focus on sharpening your photography skills at any level from the beginner to professional. You will walk away with a view of the local culture, history, landscape and architecture. The workshops and tours are catered to your specific photographic needs and goals. You will walk away with increased knowledge, prize winning images to include in your photo album or enter in contests, create a professional portfolio or to offer as gifts, not to mention to have fun! You organize a group of people to divide the cost and contact me to organize the dates! I charge a minimum cost so the more the merrier, up to 7 people! Specialized tours in The West BankThe war tours or conflict tours are in small groups, normally booked as a group and the dates are arranged accordingly. 5-7 days only. The Israel Region includes: Jerusalem and region; Christian tours; and war/conflict tours in the West Bank. At the moment, we are not offering Gaza. You design where/what you want to cover. The 1/2 day workshops are only available if I am located in the specific area at the time. Florence, Rome, other small villages/town in the region. I help you design the places of your interest. However, I advise, Rome, do Rome; Tuscany go to Florence and nearby towns/countryside. 1/2 Days are only available if I am in that area at the time desired. 3-5 day workshops: Require a Minimum of price of $3,500 for up to 7 people for ! So, you can divide the cost between you to make this workshop affordable! The 5 days tours are for Israel, West Bank or Italy. They can be designed according to your need. You will have to pay for your own flights, hotel and food. The workshop price is the same for either a 3 or 5 day workshop! The project is an intensive one month long workshop for focus groups anywhere worldwide. The workshop is to generate individual identity and community identity through the lens. The idea is for the group to generate visibility to others, to tell their stories. Non-profits use the stories for development (based on the outcome of the community voice; such as more green (planting trees) or starting aid to help those in need) and stories for marketing, your website, exhibitions and fund raisers. (I also help with the outcomes and assist in finding the tools for the group to make this work!) The stories help to create an understanding of the focus group to those who lack the knowledge of those groups. What step do you need to take? What is the cost? disposable camera's and developing are the main costs. My transportation (flights) and room/board/food plus a bit of income so I can pay my own bills at home. Normally, I stay at a hosts home/tent wherever and they feed me. I love it! It basically is the same as for non-profits. Businesses like the idea of team building, this is a form of team building. Send me an email and I will go into more detail. Interesting enough, I have found that these workshops "heal" and create a form of communication where the participants learn from each other, get to know each other in a different way. It can solve conflicts within families, learn to gain insight and respect for each other. Through my peace mediation experience and the lens, you would be amazed what happens within groups that have done this!